Interactive English Language School is a family run, British Council accredited school in the heart of Brighton and Hove, United Kingdom. Just 50 minutes away from London but based on the seaside, it makes a perfect location both for studies and holiday. Our school is located on the main bus route and very close to all local amenities. 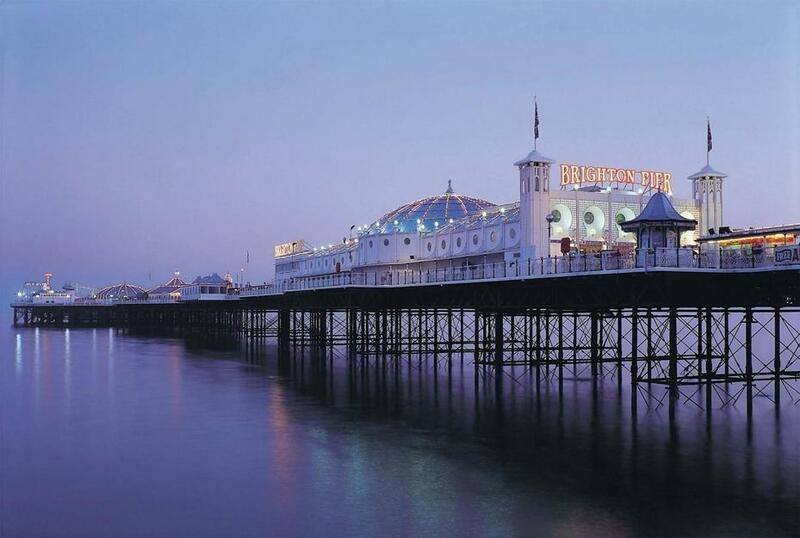 A 20 min walk will take you to the centre of Brighton and award winning beaches are just down the road. Our friendly English language school has about 150 students of all ages from 18 to 74, from over 30 different countries. If you want to travel to Brighton & Hove, or are already here, and you want to study English Language in a warm friendly atmosphere and still get the highest quality tuition, then we think that Interactive English is for you. We are a small friendly school, owned by a teacher and run for the students. Being a small school means that we can cater for your individual needs more easily than larger schools can. All of our teachers are native speakers, qualified and experienced, and we use the highest quality course books and materials. Our prices are very affordable and start from £60 per week for full time courses of 20 lessons. Our students are multinational, so you can usually find someone who speaks your language when you want to, but you can always find someone who doesn’t speak your language when you want to practise your English. 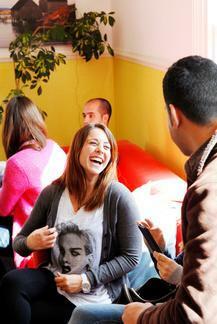 As well as General English courses, we also offer IELTS, CAE and FCE exam preparation courses. Speaking: Ask and answer simple questions on familiar topics. To describe the place where you live, family members and people you know. To talk simply about education and jobs. understand and use with confidence the vocabulary of daily social life. This course leads to the Cambridge International English Level Testing System examination. IELTS is often required for those who wish to attend a course in tertiary education in Britain, Australia, New Zealand, the USA, Canada and some institutions in Singapore. Ideally students would be at Upper-intermediate level but, as IELTS is a multi-level exam, students can join if they are Intermediate level and are committed to working towards the exam. listen to a variety of spoken text types of the kind used in IELTS examination. If you want to study at university in the UK, you will almost certainly need to take the IELTS exam in order to show that you have the necessary level of English, you may also need to take the exam to show your level of English if you intend to live permanently in an English speaking country.